* Cut your carbs to get faster results: When you eat carbs, your blood sugar (glucose) and insulin levels rise. In turn, this reduces the burning of fat. Even one meal can make a difference. For instance, try replacing one of your daily carb-containing meals with a delicious protein shake made with Beverly’s UMP or Muscle Provider protein powders. This will help you burn more fat and enhance lean muscle at the same time. * Curb those cravings: If you find yourself craving sweets. you may be happy to learn that Lean Out can help. Users often report that it curbs cravings (especially for carbs) making it easier to keep stick to a healthy nutritional lifestyle and stay on track to your ideal body. 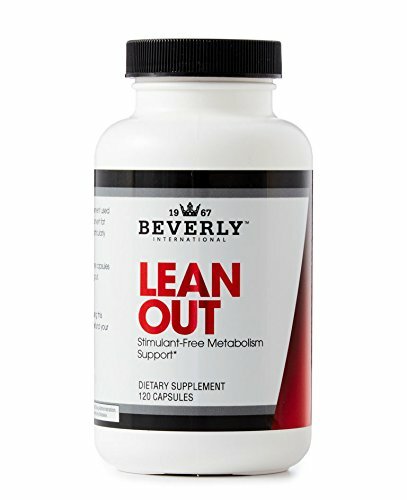 * To achieve more dramatic fat loss and muscle definition, take Lean Out with Beverly International’s 7-Keto Musclean. This is a secret of top natural physique athletes. While Lean Out helps you mobilize stored fat and metabolize sugars, 7-Keto Musclean helps you burn fat faster and preserve lean muscle. * Lean Out may be the healthiest fat burner you ever use. In addition to helping your body properly metabolize carbs and fat, it contains nutrients like co-enzyme Q10 (CoQ10) that support healthy cholesterol levels and cardiovascular function. If you have any questions about this product by Beverly International, contact us by completing and submitting the form below. If you are looking for a specif part number, please include it with your message.